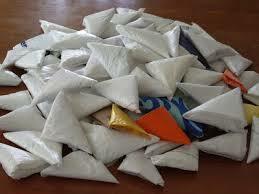 Many many years ago, what I’ll refer to as my former life, I had a friend whose grandmother use to fold her grocery bags into small triangles for easy storage. I loved this idea and I had her teach me how to do it. I have to admit though I didn’t keep it up for very long. 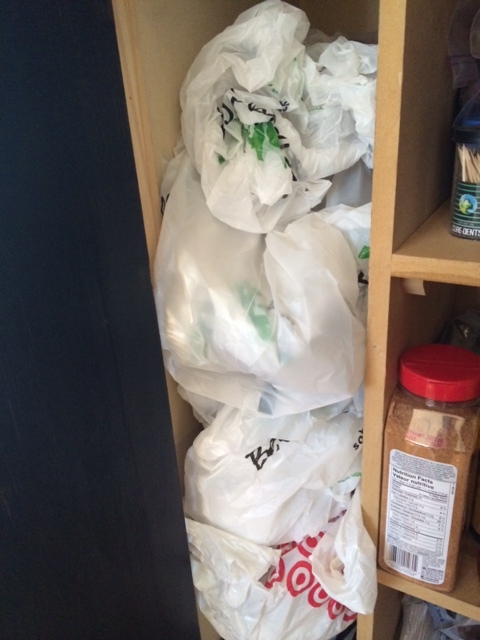 Then came along the reusable bag craze and my collection of plastic bags dwindled to a manageable amount. 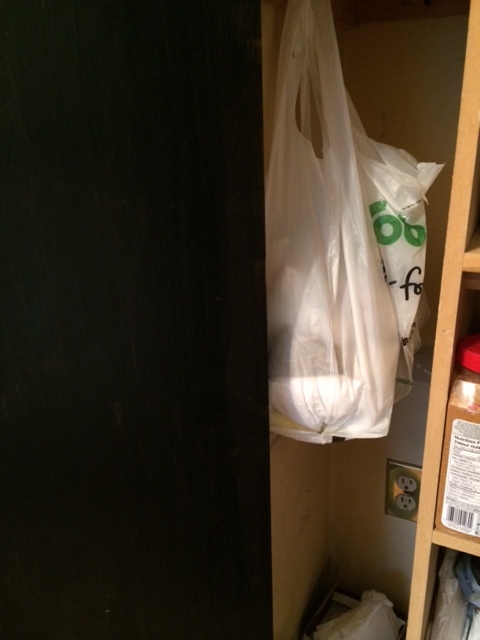 When I found myself with too many plastic bags I would donate them to the PKU office at the local hospital. Now I find myself with a kitty cat and a vintage trinket business where I tend to need and use plastic grocery bags (you can figure out why lol regarding the kitty cat). I needed one today and when I looked in my cupboard to retrieve a bag I was embarrassed to see the mess I let my bags get into. I’m almost ashamed to show this picture. For some reason the triangle method popped in my head and I knew it had to be done. I started on the mess and within a half hour I had it looking like this. Now there is just one bag holding all the others, must neater, much better. This is one of those small easy DIYs that can make a big difference. Folding a bag into a triangle is quite easy but here is a link to this method and another method of folding (which I’ve seen done but haven’t tried). Something old is new again….it’s A Wandaful Thing!! How do you store your bags? I’d love to know! 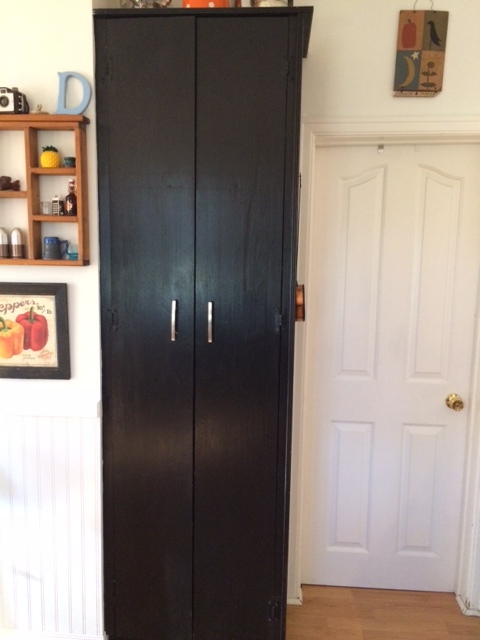 This entry was posted in DIY and tagged DIY, easy, friend, ideas, inexpensive, living, recycle, repurpose, reuse, storage. Bookmark the permalink.